Yellow is the predominant color in the prairies right now. 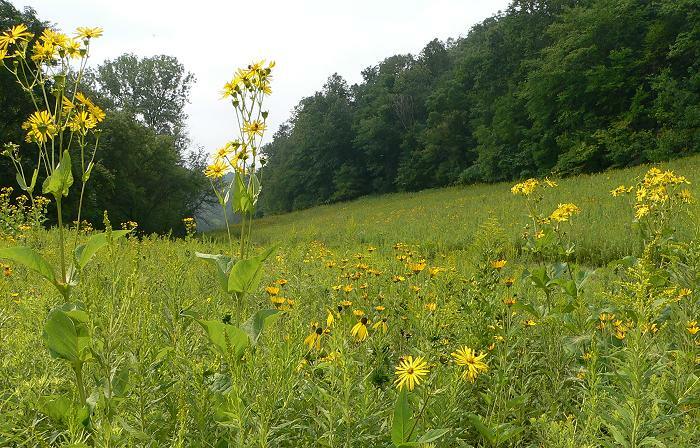 Much of the yellow is from Goldenrod. 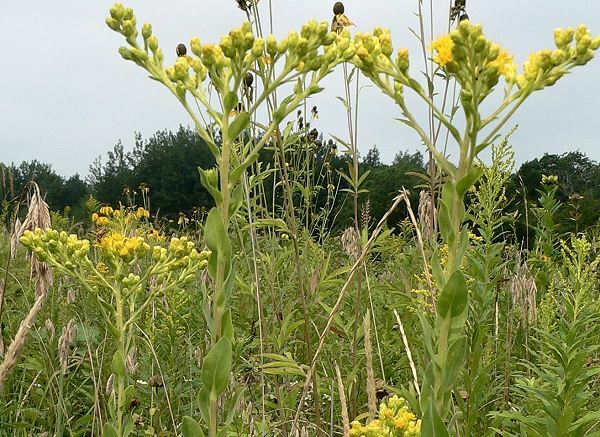 Goldenrod has a bad reputation, partly because many people think it causes seasonal allergies – it doesn’t. 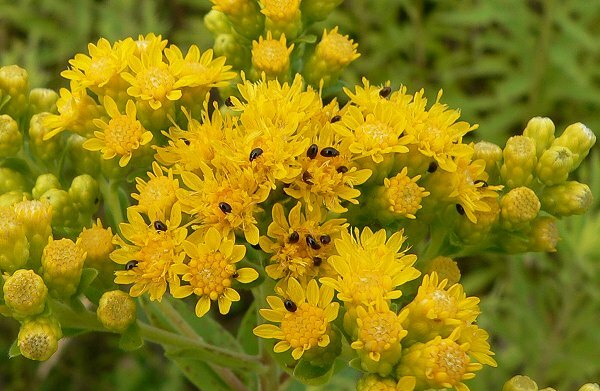 Also because the most common species, Canada Goldenrod, is weedy and aggressive. 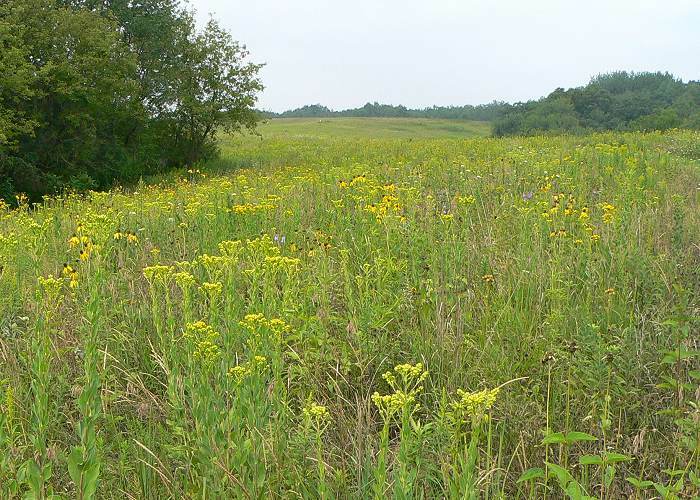 Nearly all goldenrod species are native to the Americas. 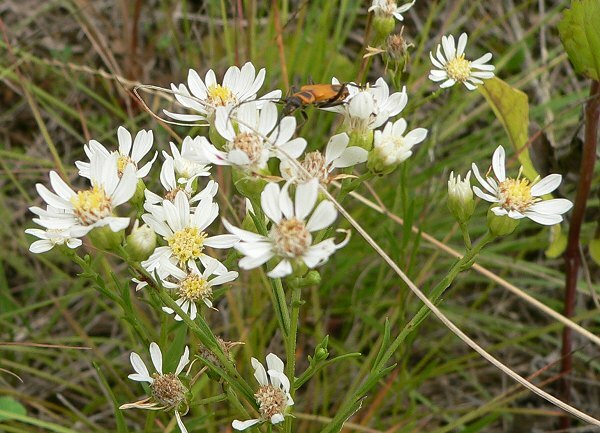 They are an important part of prairie ecosystems, and a favorite of nectaring insects. 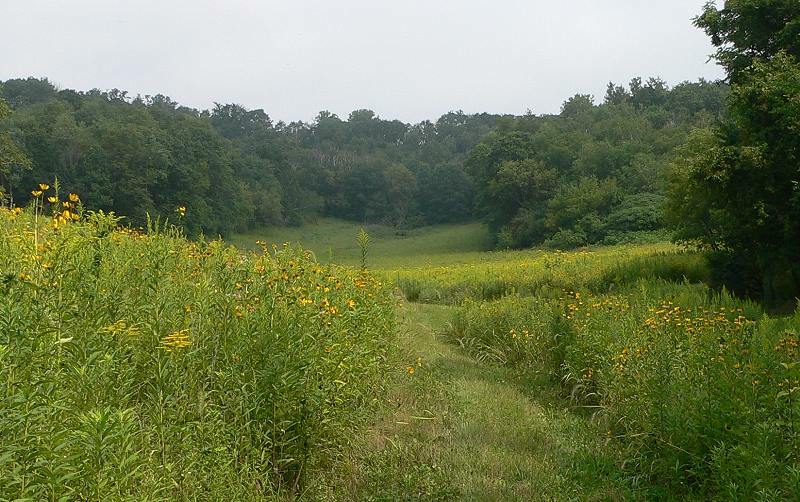 We have 10 species of Goldenrod on our land. This is Stiff Goldenrod. I try not to put too much of it in our prairie seed mixes because it’s also fairly aggressive. 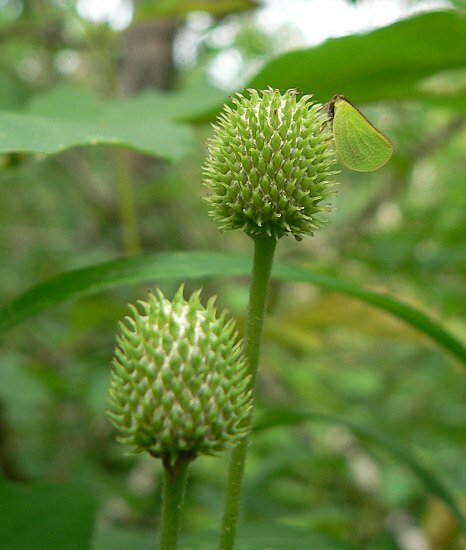 It has a stiff flat-topped inflorescence, and thick sturdy leaves. There were lots of these tiny beetles dotting the flowers. 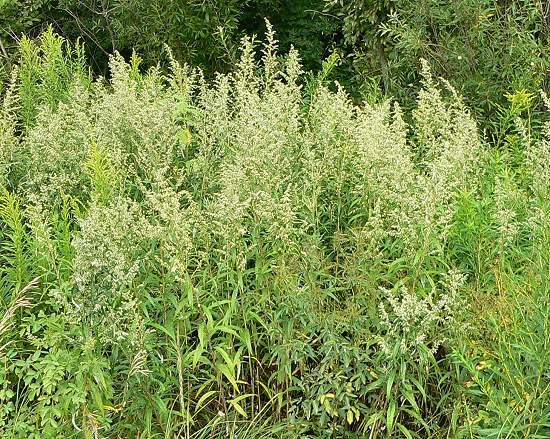 White Goldenrod used to be classified as an Aster, but it’s actually more closely related to Goldenrods. Thistles are another group of plants that people often dislike. 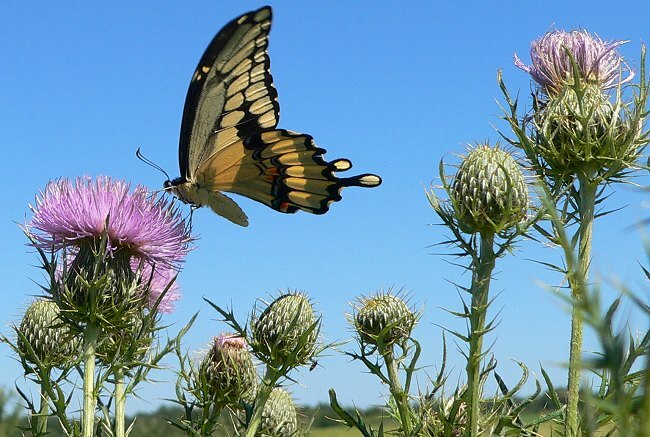 Most people don’t plant thistles in their prairies although they are a common component of remnant prairies and savannas. The only native thistle species that I’ve seen for sale is Swamp Thistle. 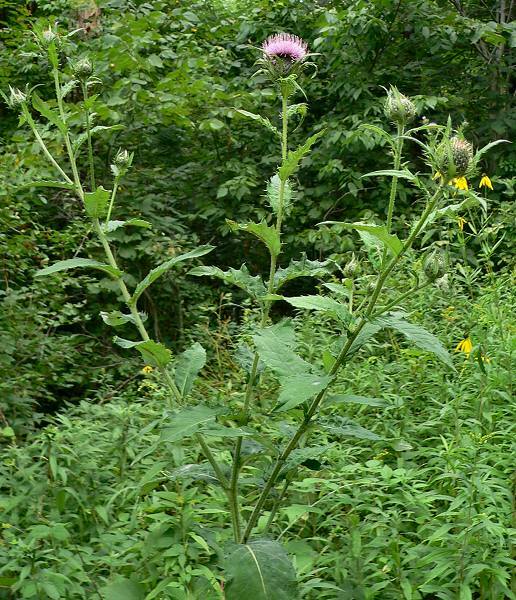 The thistles that people usually think of are the weedy ones like Canada Thistle and Bull Thistle. 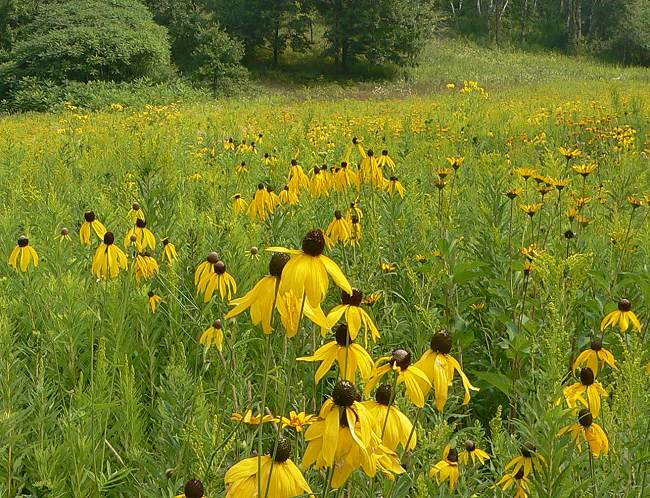 These are both introduced, agressive species, and I try to eliminate them from our prairies whenever possible. 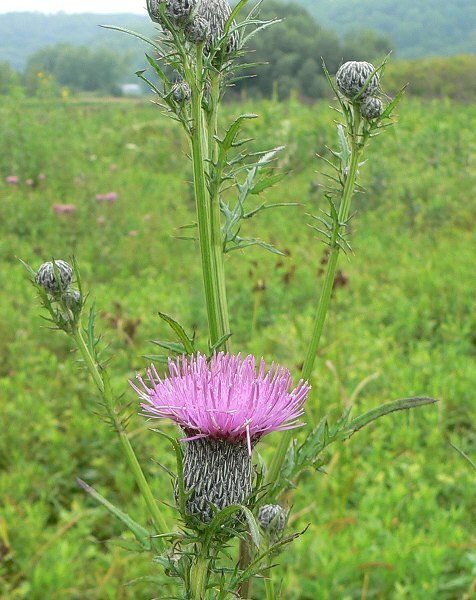 The native thistles we have on our property are Field Thistle (Cirsium discolor), Tall Thistle (Cirsium altissimum), and Swamp Thistle (Cirsium muticum). 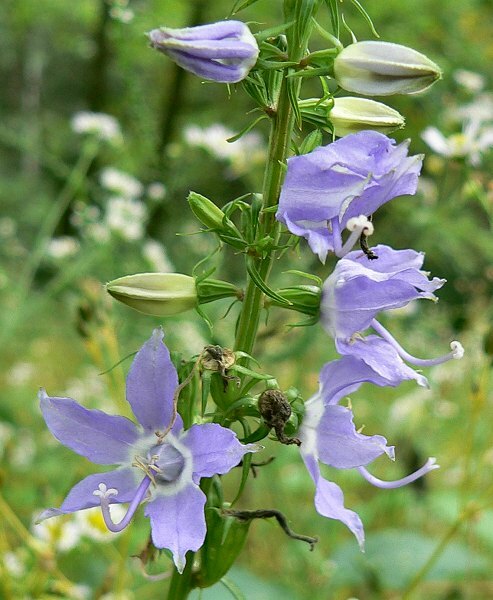 They’re all beautiful, tall, plants with purple flowers that butterflies and other insects like for nectar. 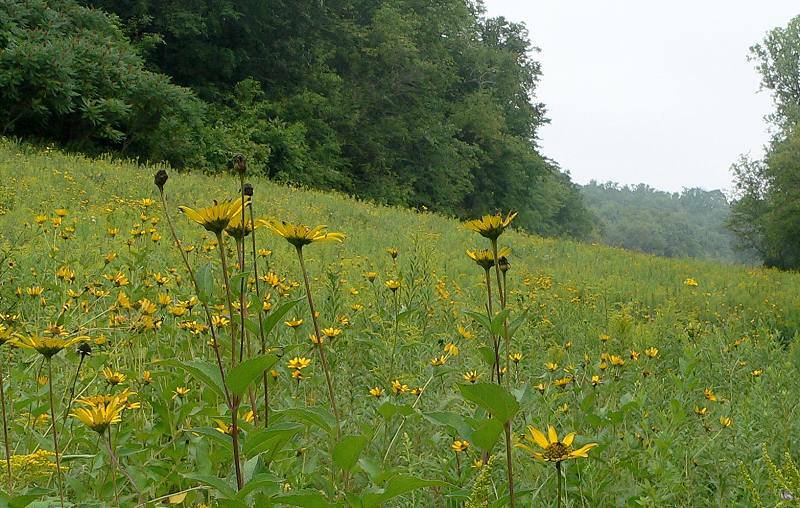 They’re all blooming right now – a nice contrast to all the yellow. 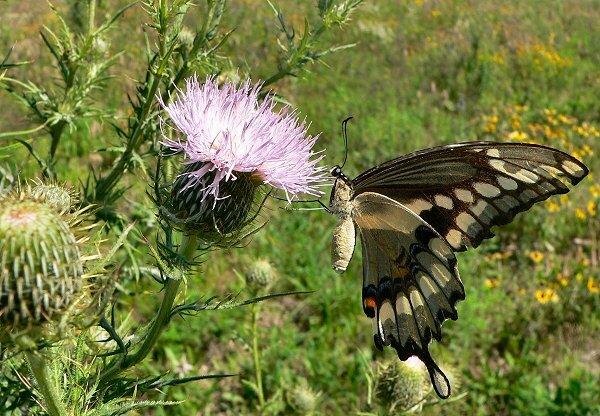 Here are some Field Thistles in one of our planted prairies with Giant Swallowtails. 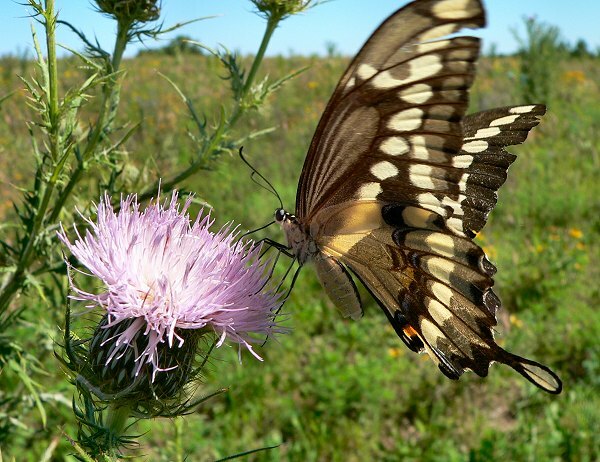 The day I took these photos I saw at least 2 dozen Giant Swallowtails in this prairie, all nectaring on Field Thistles. This is Tall Thistle. 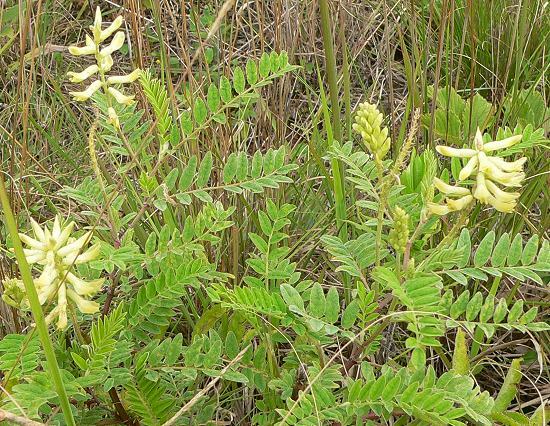 It grows in shadier places – along wooded roads, in savannas and at the edges of prairies. Here’s Swamp Thistle growing in our wetland. Some of the late blooming flowers are beginning to bloom. 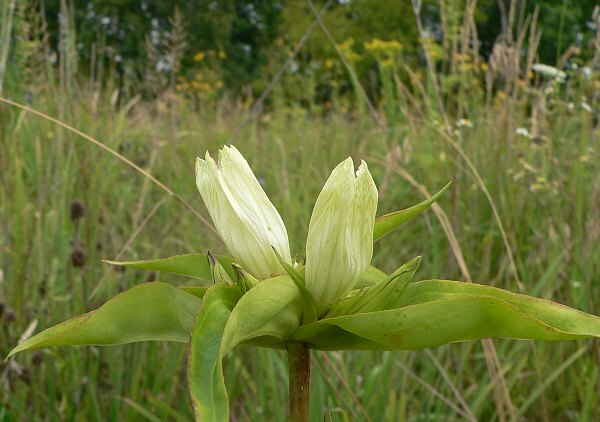 White Gentian in the prairies. 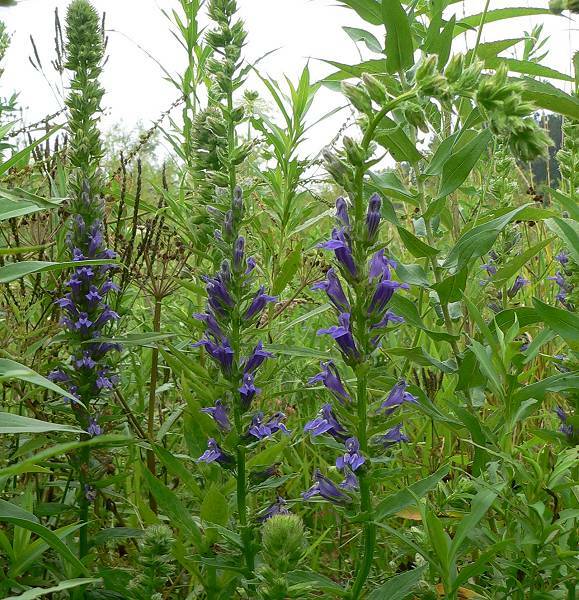 Blue Lobelia in the wetland. Canada Milkvetch the Narrows Prairie. 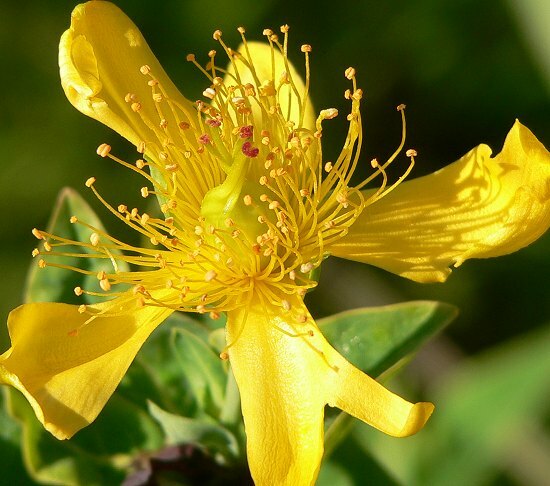 Giant St. John’s Wort – I love all the stamens. 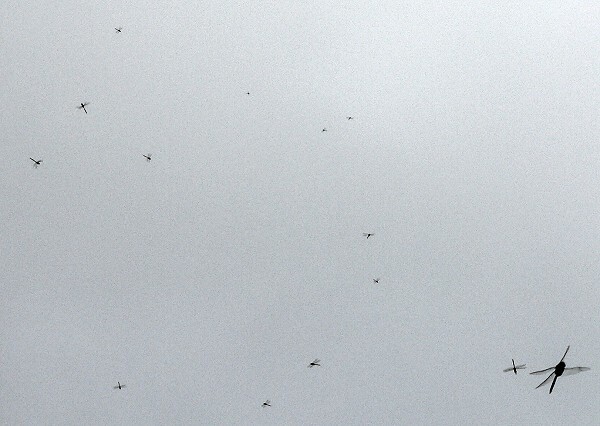 One day last week there were hundreds of dragonflies skimming above the prairies. They were Green Darners, one of the largest of our dragonflies, and one that migrates south for the winter. I’ve never seen so many – they were above every field and every surface. The intermittent stream area in 3 Finger Valley is looking better this year. We’ve mowed it for a few years, and thrown down wet woodland seeds. Finally, this year, some more interesting natives are starting to come up. 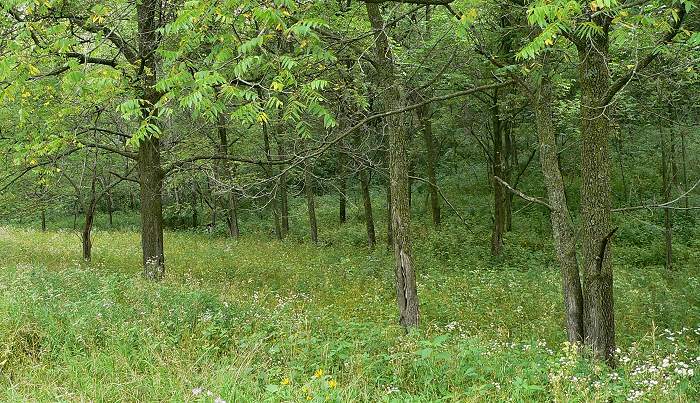 This is what the area looks like now – the trees are mostly Black Walnuts – probably planted. 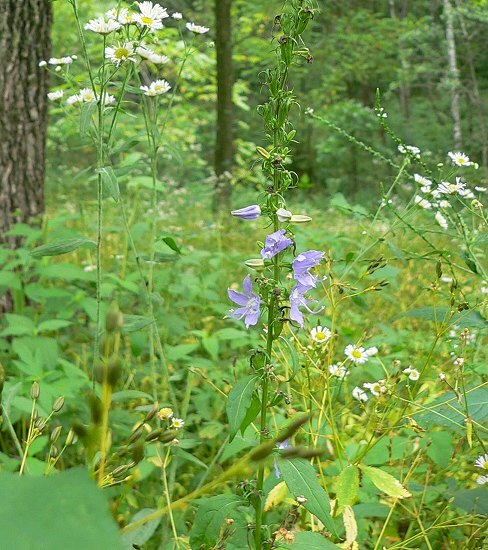 My favorite of the flowers coming up in this area is American Bellflower (Campanula americana). I found a plant that I’d never seen before when I was collecting seeds this week. 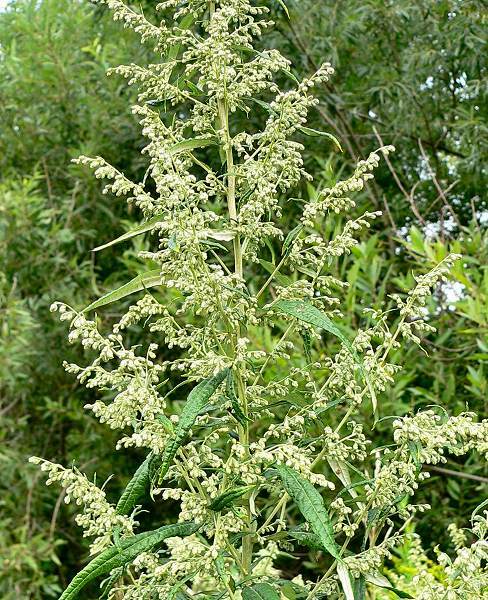 It’s called Toothed Sage, or Sawtoothed Wormwood (Artemisia serrata). It’s endemic to the upper midwest. Maybe because it’s not terribly showy and has greenish gray flowers, no one has any photos of it. I took a whole series of pictures for myself and for the herbarium at Stevens Point. I was also trying to get some pictures of Tall Thimbleweed (Anemone virginiana) fruits for the herbarium. I liked this one with the planthopper – a Two-striped Planthopper. 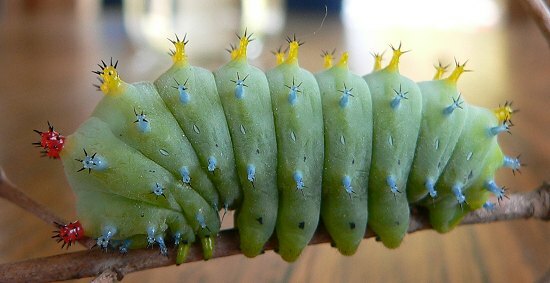 My Polyphemus caterpillars have almost finished making their cocoons. 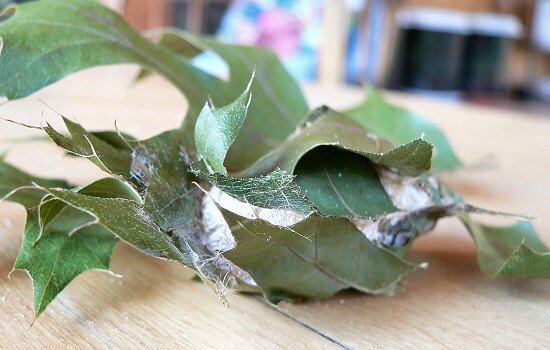 I have 6 caterpillars left, and 14 cocoons. 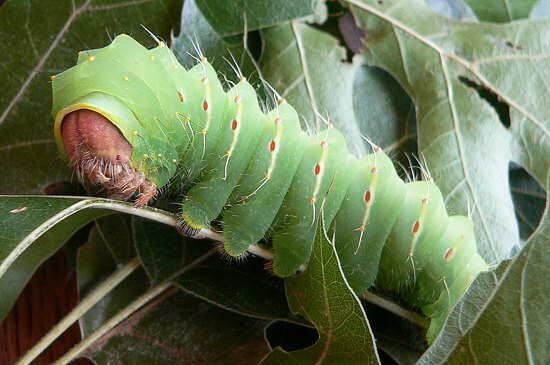 The Cecropias still have a few weeks left to go before they make cocoons. They’re getting bigger and more colorful.